How hard is it to climb to the crater? What gear do you need to climb the Vesuvius? 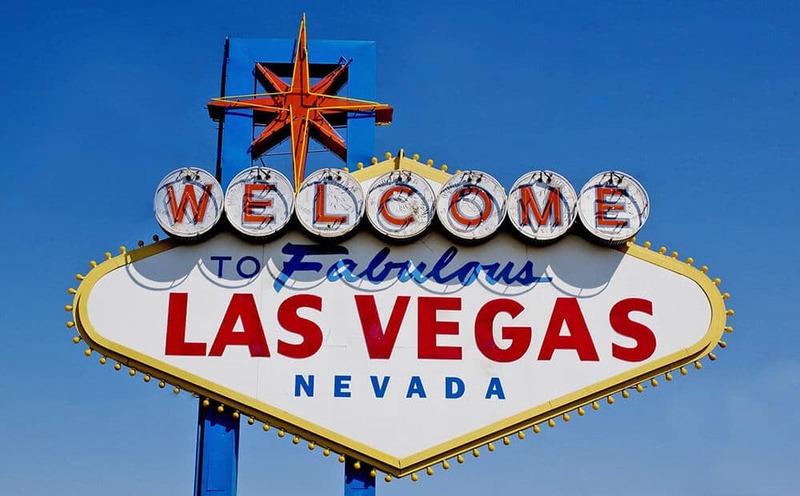 What is the best period to plan your trip? The Vesuvius has become a symbol of Naples, no matter what! As you probably already know, Mt. Vesuvius is the volcano responsible for destroying the cities of Pompeii, Herculaneum, Stabiae and Oplonti in 79 A.D. Us Neapolitans have gotten used to living near an active volcano, to the point that it has become part of the “perfect Naples postcard“, a symbol that makes our city recognizable in the whole world. If you are visiting Naples for a few days, I highly suggest you add hiking Mount Vesuvius to your itinerary. While a visit to Pompeii archaeological site will be impressive, only climbing Mount Vesuvius you’ll understand the enormity of what happened… and of the sword of Damocles hanging over our heads. 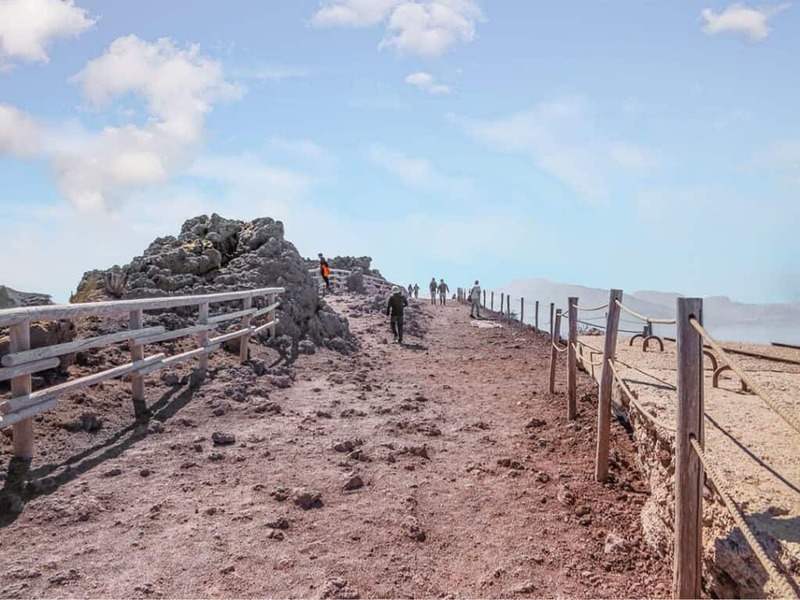 Some tourists think they can steal rocks on Mount Vesuvius: please don’t do it! You can find here a list of Italian souvenirs that won’t put you in trouble! Neapolitan’s life insurance: putting religious items in the Vesuvius’ crater! Many people are sure that getting to Mount Vesuvius National Park is expensive or complicated. As a Neapolitan I beg to differ. 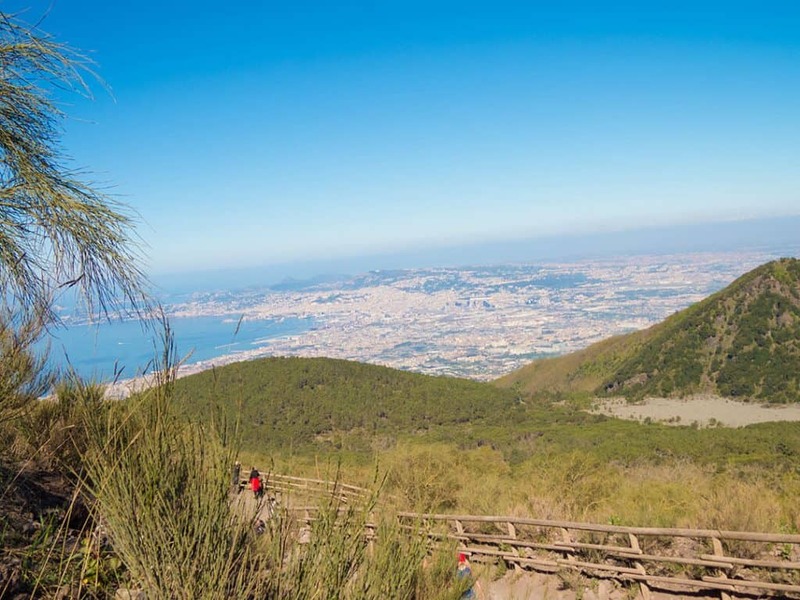 A Mount Vesuvius hike represents the perfect day trip from Naples if you like the great outdoors and the uncommon destinations. Tourists that visit Naples in fact all go for the usual suspects: Pompeii, the Amalfi Coast, Capri or the other islands. But what about the sleeping giant that has shaped our history and that represents the beloved background for every picture and selfie tourists take in most of the amazing places to see in Naples? To be honest, I think you can fit a trip to Mt. 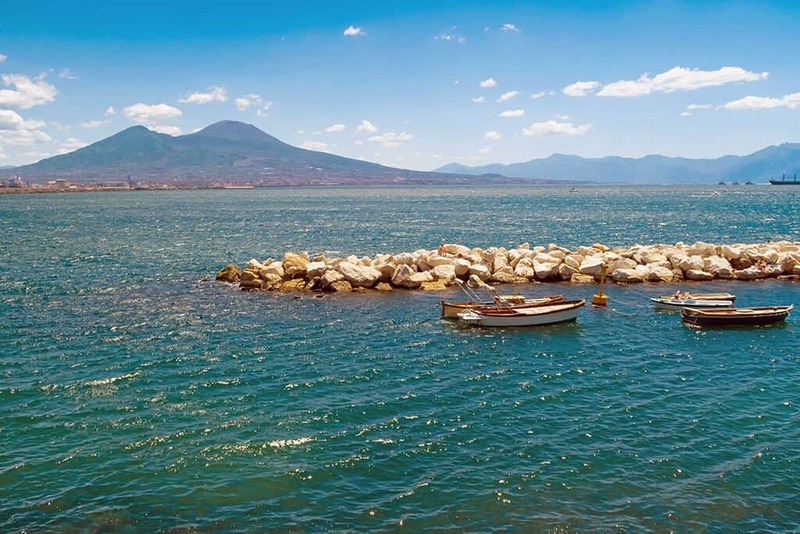 Vesuvius even in a short 10 days Italy itinerary: let’s see how! To get to Mount Vesuvius you won’t even have to buy an expensive tour from Naples. A regular bus ride with EAV Bus will do the trick. The buses to Mount Vesuvius leave from Piazza Piedigrotta in Naples and reach Mount Vesuvius after one hour and half. Be aware of the fact that the buses will leave you to a panoramic terrace… which is basically a parking lot. You will only be able to reach the crater by hiking. In case the parking lot is full, the buses will leave you at about 3km from it. There is generally a smaller shuttle bus that can drive you to the ticket office with 1€. Also as Neapolitans (we have it in our blood!) we are used to it, but generally people coming from abroad are terrified. The road to reach the “parking lot” is pretty narrow. If there are lots of buses (much like on the Amalfi Coast) getting through will require several attempts from the driver. Actually, driving on that route is particularly complicated and our drivers are very good to be put on that line. If you are scared of heights, by all means, don’t ever look out of your window unless you want to panic! 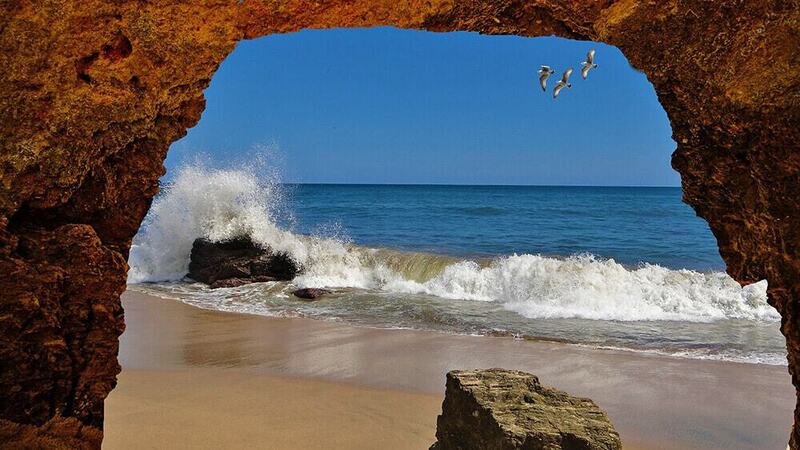 It might feel as if you’re hanging on a cliff: believe me, I’ve been there countless times! To distract myself from looking down, I have started to pay more attention to the landscape. You’d be surprised to notice how much lava there’s also pretty down the slopes, away from the cone! The buses from Naples leave at 09:00. The last one returns from the Vesuvius is at 15:30. You can check all the stops of the bus rides on this printable pdf file. Beware that usually because there might be ice and a lot of rain in winter, the bus rides to the Vesuvius might be suspended in January and February. Another way to reach Mount Vesuvius is using the Circumvesuviana train from Naples to Ercolano Scavi and from there one of the taxis (they are pretty expensive) or buses to go to the national park. You can also go from Pompeii to the Vesuvius using an EAV bus in case you already are in Pompeii. Yet if you are leaving from Naples, you should get a train to Pompeii and from there your EAV bus. I find much easier to go from Naples using just one bus! You can buy the EAV tickets on the bus. Please be aware that you CAN’T visit Pompeii AND climb Mount Vesuvius in one day or you won’t be able to enjoy the archaeological site. In the summer of 2017 a big chunk of the Mount Vesuvius National Park burned down because of a huge fire. It was terrifying and many people had to leave their homes, as it spread to the nearby cities. Those who burned down our mountain were arrested, but as I already mentioned when I told you that Naples is safe, many of the locals offered to buy new trees or donated their savings to heal “our” Vesuvius. Because we know this can be an active volcano and we should all be scared, but it’s part of our lives and we still love “O Vesuvio“. Unfortunately you might still see the scars left from the huge fire: here things are sadly very slow, and it always takes a lot of time to fix everything, especially National Parks! 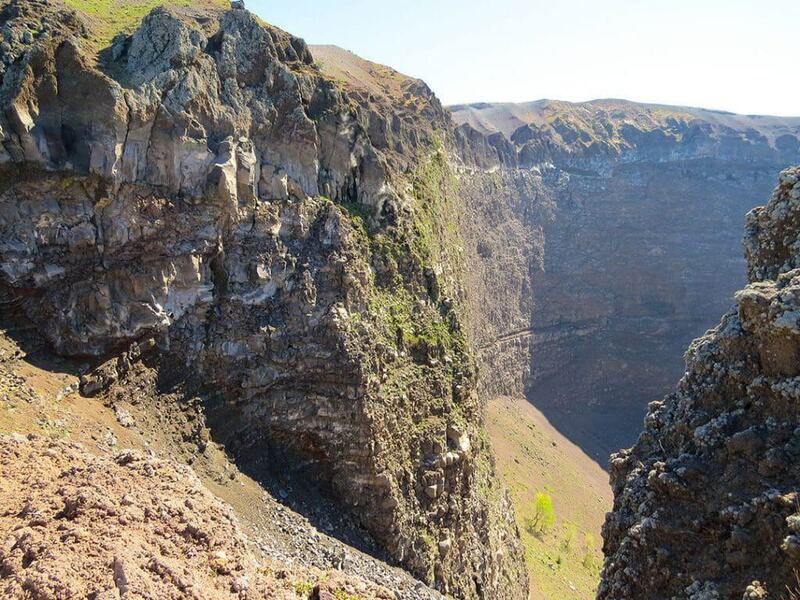 Mount Vesuvius National Park was born in 1995 to protect this part of land, which is very interesting for scientists and biologists, who are still studying the area, making new discoveries almost on a daily basis. Mount Vesuvius is like a canva on which Mother Nature and the people who used to live here before us left a lot of information and we are using it to understand what happened with the previous eruptions and how we can make sure the next one won’t turn into an ugly mess. Tickets to Mount Vesuvius National Park cost 10€, unless you have a document stating you are an Italian student, or that you live in one of the 13 cities in the park. In that case, the ticket will cost you 8€. The park is open every day of the year unless, as I already mentioned, there’s ice on the road or it’s raining too hard. In January, February, November and December the opening times are 09:00-15:00; in March and October the opening times are 09:00-16:00; in April, May, June and September the opening times are 09:00-17:00; in July and August the opening times are 09:00-18:00. As you probably already know, I always am very honest and while I love my homeland, I am ready to admit that we are lacking in some areas. Mt. Vesuvius National Park is one of them. The parking lot is often dirty and you will probably see the ugly garbage: not everyone is civil enough to know that you shouldn’t leave trash in a national park, and there’s not enough staff to clean and keep everything in order. There are stalls selling souvenirs to tourists and a tiny cafè (which isn’t half as good as the espresso you can drink at the best Naples cafes) in the parking lot. Yet espresso is very expensive (they usually ask 1.50€ per cup, but with 1.10€ you can drink it at Grand Café Gambrinus in Naples!!! In this case you will be excused if you don’t apply the Italy tipping etiquette! ), like basically everything else: they apply the usual “tourist rates”. So if you want to save some money, bring your own water, and avoid shopping. Now, you might expect that a park has public toilets, right? Wrong! Those at Mt. Vesuvius are often “strangely” broken and you won’t be able to use them. But you can pee in a porta potty just for 1€. Ugh. I’ve read a lot of false information about climbing Mt. Vesuvius from people who probably never visited. It’s absolutely not true that there are a lot of cafes or snack shops all the way to the crater. Aside from the “café” in the parking lot, you will only find another tiny shop on the top, near the crater. They mostly sell souvenirs, Lacryma Christi wine bottles, water, coffee and a few snacks. There’s no public bathroom (not even for the customers) and everything is pretty expensive. In between the entrance and this tiny shop there’s absolutely nothing. So plan in advance and bring your own water and maybe opt for a Neapolitan street food you buy before you go to Mount Vesuvius! After the huge fire in 2017 the National Park has been left without a Director, which might explain why it has been so neglected. At the moment they are still looking for someone who can finally take the reins and start fixing things. Hopefully with a new manager things will improve: we are keeping our fingers crossed! The trail to the crater is steep and bumpy: wear your hiking boots! Hiking Mt. Vesuvius can be an amazing experience, provided that you know what you are doing and your limits. I am well aware that many bloggers claim this is a particularly easy hike, some even state that you can climb it in flip-flops. But I hope you will give some credit to someone who has been to the top several times throughout her life. Which is why I decided to share my own experience, a few useful information and my tips. Wrong information can get people hurt. If you want to add something to this article, just drop me a comment and let me know how was your hike! Beware: at the entrance you will be offered a wooden stick to help you climb Mount Vesuvius. Unless you really need it, don’t accept. You will be asked for money, and that person is not a member of the park staff. The reason why no one does anything is to be found in the paragraph about the park and the dire need of a better management. Meanwhile the best thing to do to discourage these people is not giving them money. You can climb well enough without a wooden stick that you pay for and that you will have to return once you’re back to the parking lot! Also while I say that you can hike to the crater, I mean that you can visit up to the rim. You can’t go “inside” because the area is off limits (for obvious reasons), but you will definitely see what’s inside from the panoramic (tiny) terrace. While climbing to the top, look around you: the view is amazing, you can see Naples, the surrounding mountains, the Gulf of Naples with the cruise ships and the old solidified lava. Bring your camera with you! In many articles I read that hiking Mount Vesuvius to the main crater is “very easy”. But this trail has a medium-hard difficulty. It is steep (14% gradient) and very uneven, as you can see from my pictures. Also summer in Naples is not a good season to attempt this kind of trip. Hiking Mount Vesuvius can be like walking into a furnace if you go when it’s very hot and the humidity rate is through the roof. As I already mentioned there’s nothing from the entrance to the panoramic terrace on the crater… not even a tiny bit of shadow, nor a bench. The trail is about 2 km long, so it’s a total of 4 km round trip. Remember to bring at least 1 bottle of water per person, because you’re going to need it. Some claim it took them a bit more than one hour to get to the top and back to the parking lot, but I don’t particularly like this kind of assessment. Everyone climbs at a different pace, and you might want to stop to take a few pictures or shoot a video of the gulf of Naples, why hurry? To be on the safe side, consider that a trip to Mount Vesuvius could take you a half a day, maybe a little more, according to where you are returning (Naples, Sorrento, Pompeii etc). Some visit Mount Vesuvius from Rome. If that’s your case, maybe you won’t have that much time to hike at a very slow pace! When you reach the top, don’t be surprised to find a lot of religious images: Neapolitans are particularly superstitious and San Gennaro is the patron saint of Naples. 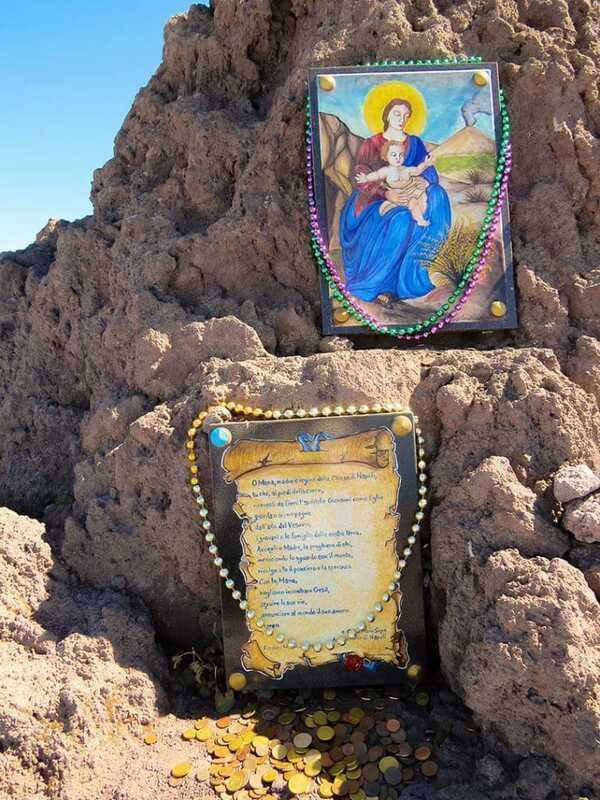 So they have left there many sacred images and items in a niche. Basically… it’s a Neapolitan life insurance, so San Gennaro can keep Mount Vesuvius under control and save Naples! It is important to wear a good pair of hiking boots. On the floor there’s a lot of debris and pumice stones, so it’s easy to slip. I prefer to wear hiking boots that protect my ankles, because I feel way safer, and I do so also when it’s very warm. In case it’s way too hot, I carry them in my backpack, wear them at the entrance, and when I’m done again I change into a nice pair of comfortable sandals. I do so wherever I go, also at the amazing Plitvice Lakes National Park, because it’s very important to use the right footwear if you’re planning to hike! Please do not attempt to hike in a pair of flip-flops or even worse, wearing high heels. You’re bound to get hurt. Aside from a solid pair of hiking boots, I like to bring with me a foldable raincoat. Not because I’m afraid of the rain but because, especially if you’re hiking in months like March, April, October or November, on the top it will be a bit cold. I remember seeing tourists wearing Birkenstock sandals, cute shorts… and climbing down from the top with blueish skin, trembling because of the cold. They were baffled: isn’t Naples always very warm? Well yes, generally, but with a height of almost 1300 meters, it’s only natural that the air is a bit more chilly! A foldable raincoat is easy to carry and lightweight. You can just keep it in your backpack. Good for you if you won’t need it, but just in case… it’s there for you to use it. Wear a hat because there’s no shade, anywhere on the path, until you get to the tiny shop at the top. The sun here can be brutal. If you read the previous paragraphs you’ll know that there’s a lot of garbage in the parking lot. We help the environment reducing as much as possible the use of plastic, so we are carrying around reusable bottles that won’t hurt our planet. Consider bringing one of those with you, or be prepared to bring back your trash with you: there aren’t many trash bins. Sadly. Provided that January and February are rainy months, and that often the Park is closed due to the bad weather, with the climate changes we can have a scorching hot summer one year and a rainy one the following year. Just consider that in December 2017 and January 2018 there was so much snow on the Vesuvius that it looked like hiking on the Alps! The road was full of ice and snow, so the authorities were forced to close it. 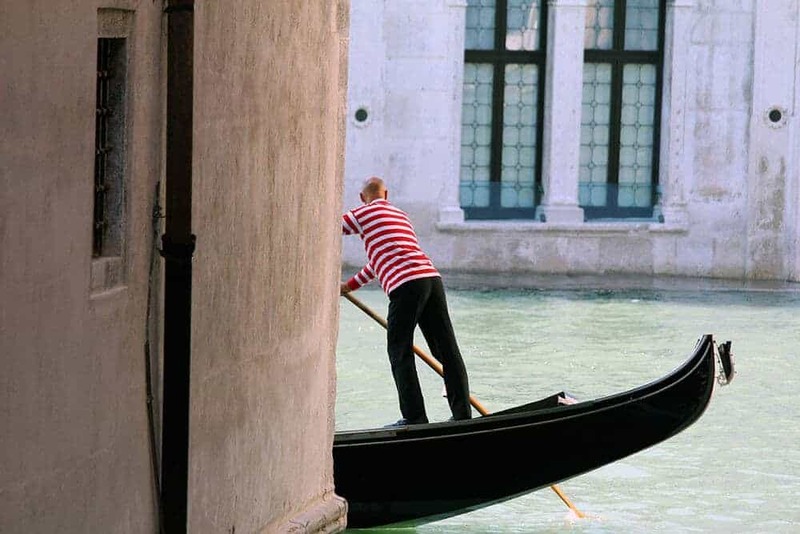 March, April and May can be good months, because the air is still nice and it won’t be too hot (so if you have planned a spring trip to Italy it will be ideal!). June is a bit warmer, and still a good period, but it’s more crowded because of the many cruising ships docking into our port. 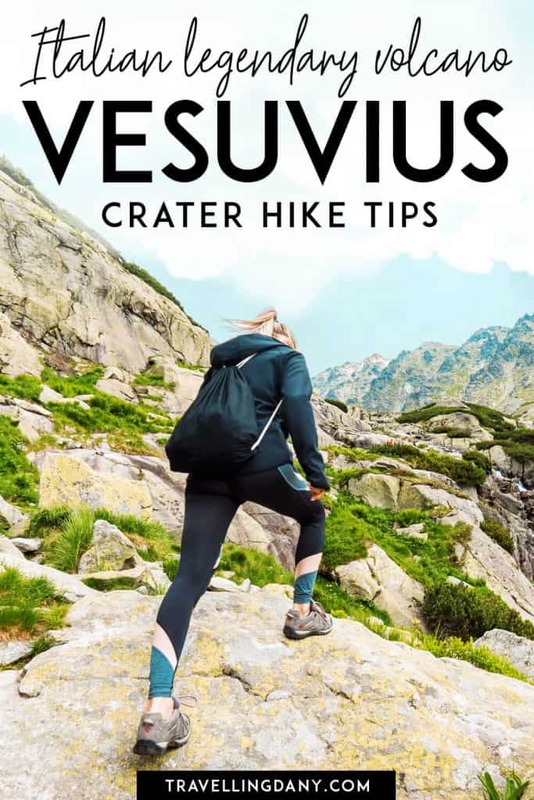 So many companies offer a visit to Mount Vesuvius in their day trips catalog so be prepared to hike with more people. My personal opinion is that you should avoid the warmer months. July and August, even the first part of September are going to be a nightmare. The air is too warm, there’s too much sun, too many people, and the humidity rate is so high that it feels like you’re breathing warm water. Not the nicest feeling at all! If you want to visit Mt. Vesuvius in autumn, then the second part of September, October and the first part of November should be fine! Hiking Mt. Vesuvius can be hard if you suffer from a medical condition. While for some the trail can be from “doable” to “easy”, according to how much they exercise, there are some things to consider if you aren’t overly fit or if you have health issues. The very first thing I want you to be aware of is that once you are on the trail, which is particularly steep especially in the first part, there’s no bench where you can sit to rest for a while. You won’t even find some shadow. Italian food is full of options for you to choose: maybe you can bring a snack or a quick lunch with you to make sure your energy levels won’t drop too much. If we really want to think of the worst case scenario, in case you feel unwell, you might have to wait at least half an hour for an ambulance to get there. And you will also have to wait for the doctors to hike the trail to pick you up. My suggestion, before to plan your Mount Vesuvius hike, is to ask your doctor if you can do it. Bring with you any emergency medication you might need and don’t climb on your own. And, of course, know your limits. I unfortunately know quite well what might happen, because I have asthma and while I don’t let it stop me from exploring or hiking, I still find it difficult to open up to someone enough to speak of my condition. I have this issue where I feel almost like it’s my fault, or that I should be ashamed of it, because it’s not “normal”. So I keep it to myself. When I hike with my husband, I feel way more relaxed, because I know that, should anything happen, he’ll know what to do. Yet one day I was with a group of bloggers and journalists. Aldo wasn’t with me and I stubbornly told myself that I could hike to the top of the Vesuvius “like a normal person”. No one in the group knew of my condition, and a few of them were also quite fit, so they started hiking the trail and etting a particularly fast pace (they had never been there). I was left behind within moments, and I felt the usual shame gnawing at my guts. Why couldn’t I keep up? I stupidly pushed myself way too hard, and I felt even worse because I didn’t want to use my inhaler with so many people around. They always look at me weirdly and I hate it. If you are familiar with asthma you will know that physical and mental stress really do make things worse. It feels like you have a ton of bricks on your chest, which won’t let you intake enough air to breathe properly. The more you panic, the more this vice will tighten. I was halfway to the top when one of the bloggers walked up to me, asking me if I was okay. I was shaking, sweating, I was pale and terrified. I had to tell her that I have asthma, and I finally used my inhaler. But once the attack starts, in my case at least, it takes more time for the medicine to take effect. While I appreciated her concern, her presence also was a source of stress, because I felt ashamed of looking “weak” in front of a stranger. People were staring and all I wanted was to go home. Yet the only place I could go to was the shop at the very top, near the crater, because it was summer (so very hot), and I couldn’t climb down on my own. I needed to sit down in the shade for a while. Believe me when I tell you that I was scared for my life. When you are among people you don’t know, who don’t know your condition, have no idea what to do, in an area that feels unsafe, and you can’t breathe… you feel so lost. As I reached the shop, which has at least some shadow and where I could sit down on a low stone wall, I thanked the blogger but asked her to leave me alone for a few minutes. She was starting to panic as well and that scared me even more. I’m sure I looked like hell, but I felt even worse and I didn’t care. Once there, I felt invisible. The people from the shop didn’t help. Tourists were all busy to take pictures of the crater and thus I did the only thing I knew would calm me down. I picked up my phone and called my husband. I silently cried and cursed myself for being stupid. Because dudes, I was stupid. Underestimating a hike to the Vesuvius is not something you should do. My husband was able to calm me down and with his magic I even managed to offer a (breathless) laugh. After a second intake of medicine, I started to feel a little bit better, so before the other blogger returned (I really appreciated her help but she was scared for me and made me even more nervous), while still talking on the phone to Aldo, I slowly climbed down. Taking my sweet time, stopping now and then, just… hiking at my own pace. I can do things, I have been hiking a lot, but I need to do it my way. By the time I arrived to the parking lot, the worst was over and I felt much better. My suggestion? If you suffer from a medical condition, take it into account and take preventive steps. Know your limits and don’t push them. It has to be a lovely trip, not a race: don’t be as irresponsible as I’ve been! « Is Naples safe? Learn the truth and everything you need to know! Thanks for the information! My husband and I are planning a trip to Italy in May. We will be arriving by plane in Naples around 13:00 and then plan to rent a car and drive to Mt. Vesuvius. Would you recommend driving and parking in the parking lot in the park or driving to one of the train stations where we can catch a bus to the top of the volcano? Thanks again for your help in planning our trip! Ciao Cindy! I’m so glad this blog was useful, I always aim to provide the best insider tips to visit Italy and Naples! As for your question, I’d actually just drive to Mt. Vesuvius since you’re renting a car anyway! I definitely need to get to Mount Vesuvius , it is all where Pompeii saga started. The hike does not seem too difficult and it does seem well marked. I guess, it would be a good to get a view from up there. I can see that it is quite picturesque too. Checking out Mt Vesuvius was already on my bucket list but this post has definitely pushed it higher up my list. Along with checking or Pompeii. The path does look a fair bit challenging but I think it would be worth it! Great article with lots of great information on Mount Vesuvius. I was in Naples many years ago but didn’t get to hike it. Then again, i did get to visit Sorrento and Capri on a 5 day trip so I can’t really complain too much! You were lucky indeed, Capri is so amazing! Why is Capri amazing? We are in Naples now and will be touring southern Italty for the next 10 days. Should we include it on our intinerary. Capri has a unique style. Here you can read my article about it. I think it’s up to you and your itinerary, really! If you haven’t considered it, maybe also exploring the Amalfi Coast would be a good idea? I live that you’ve been brutally honest about what is great and was it not-so-great. I think it is really important to let people know that this is not just a nice stroll in the park, and that you need proper gear. I always forget a hat so the reminder is good lol. I visited Sorrento as a child and didn’t get to climb Vesuvius. I really hope to in the future, and this guide had certainly prepared me for it. I always try to be very honest, even if people might not like what I write! I think it’s important to inform people on what they should expect! Thanx for this very complete guide, it really makes me longing for going back to Napoli and take a hike…. Fingers crossed that you get to visit again then!!! This is such detailed and helpful information. I’ve always wanted to climb Mount Vesuvius since it sounds like an amazing hike and a trip through time. I had no idea it is the only active volcano in Europe though! You shouldn’t be ashamed of your condition. you are normal and many people are suffering from many things. It is good to let other people around you know the situation. I am glad to see you were fine at the end, but if the situation would have got worse, someone should have known and helped you. please please don’t risk it next time. I had no idea that only Vesuvius was the active volcano on mainland Europe, I just assumed there were more! I definitely want to go and visit, but the thought of climbing a volcano in the summer does not appeal! Spring and Autumn sound like a much better time to go. I’ve hiked a volcano in Guatemala so would love to do it in Europe too! There’s Mount Etna but Sicily is an island (still in Italy tho!). While Vesuvius is active but sleeping, Mount Etna erupts now and then! We hired a car and drove around the Amalfi Coast over Easter. The traffic was crazy, the roads were narrow and it was an interesting experience. I completely understand what you mean by narrow roads. What a horrible experience you had on the climb with your asthma. Certainly having asthma is not your fault. It sounds terrifying. You have some great tips for hiking that you have clearly learnt from experience. During certain holidays the Amalfi Coast can be indeed a nightmare. As a local I can say we tend to stay away! I wish you happy and safe hiking adventures in the future! I had no idea this happens on a regular basis in Croatia and it sounds horrible! From what I understand things are pretty serious if the Mountain Rescue Service has to be involved! Which is another reason why it’s important to be prepared and find trusted sources online where you can find tips about the trail! Also I’m sure that you’d love another visit to Napoli, there’s so much to see and do here, especially if you like art history! What you do while hiking is very nice, and the best thing to do when you hike with a group!!! This is a very comprehensive guide. I’ve heard a lot about Mt. Vesuvius and I think you are absolutely right. Hike at your own pace. Travel at your own pace. And never underestimate a challenge! I think exploring at our own pace is important everywhere we go! I am not a hiking expert but if I was this looks like an amazing place to go on one! It is, the view is breathtaking! Great tips! I’m so happy to have reached your article, as Naples is a place I want to visit someday soon. 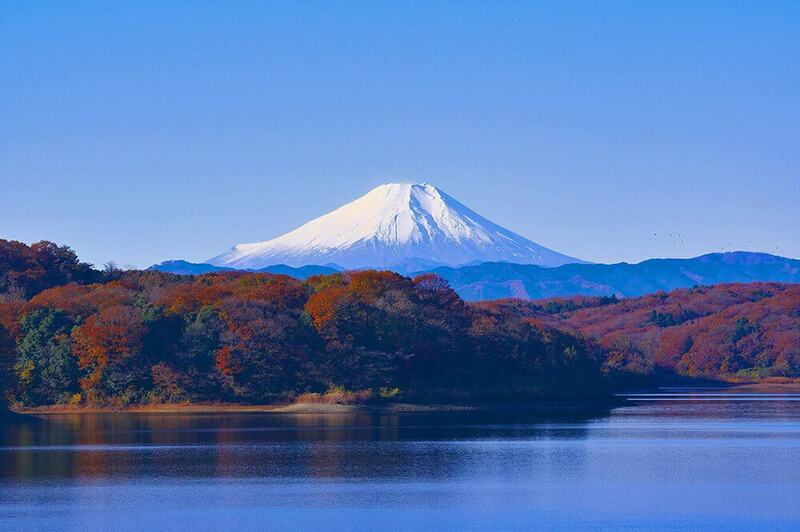 And a hike to the famous volcano would also be something to remember, I’m sure. Oh wow do you have Italian relatives that used to listen to Funiculi-Funicula? Here it’s very famous! 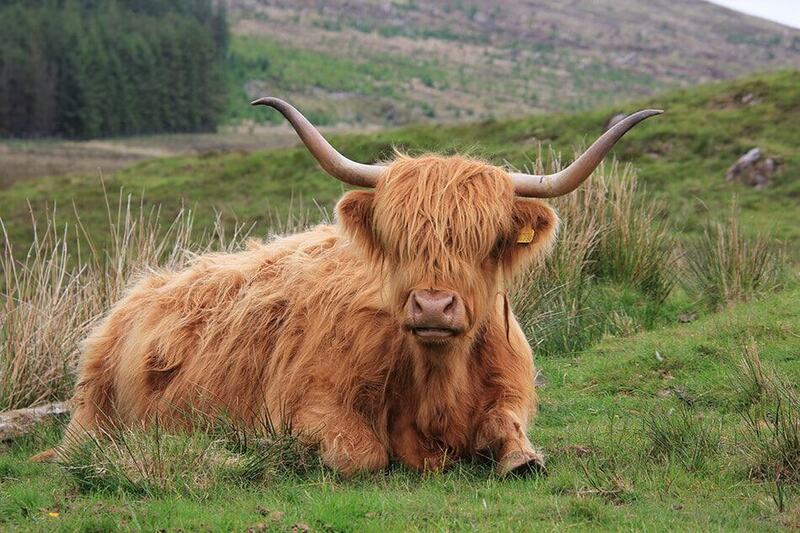 As for the trip… I will keep my fingers crossed that you vet to visit soon! I love this post and I LOVE volcanoes. I like easy hikes and am not very good with hills… and this one sounds like it’s not as easy as a super-fit person would have you believe! This is very good information to put out there, especially as summer tourist season is revving up. I think the point is that if you are fit sometimes you tend to underestimate a trail, but you should always be aware that people who aren’t fit or who have health issues might be reading you! So yeah… if you aren’t good with hills, this one is very steep. I have the same difficulty but if I climb it slowly and I stop to take pictures, I can do it! A very detailed post and it’s perfect timing as there a good chance we are visiting at the end of May. Glad to see it’s warm but not too hot to hike. Shame about the state and lack of management of the National Park. How amazing that you’re visiting!!! The weather is changing a lot these days, but by the end of May we should finally say goodbye to the clouds and welcome the famous Naples sun! 🙂 Have a safe trip! You have cleared several misconceptions about climb to Mt Vesuvius. One has to be extremely careful with medical conditions. Glad you could calm down soon enough without severe emergencies. Oh definitely, wherever you hike if you have a medical condition you have to be extra careful! 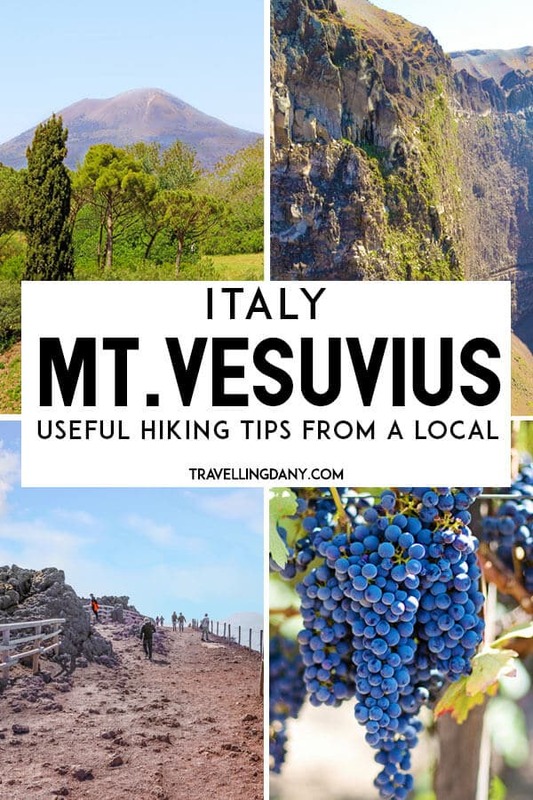 This post is great, in detail and gives all the information I will need then I climb Mount Vesuvius. Reading your post I realized it is a harder hike than I thought and that proper preparation is really important. Thank you. Yeah I’ve noticed that it’s quite the misconception! Oh wow! Very in depth piece, Dany. I never knew it could be hiked. Interesting. San Gennaro is the patron saint of Naples? I did not know that! We have the Feast of San Gennaro every October in NYC to coincide with Columbus Day and Italian-American Heritage Day. Does it mean that most of the immigrants to the area were Napoli? Hmmn…also, people wear sandals and HIGH HEELS to hike?? What is wrong with people?? Sigh. If you want to plan a thorough visit of Pompeii, you can’t do both in the same day… also because in my opinion hiking to the top of the Vesuvius is hard and Pompeii is so big (they keep discovering new things!) that it’d be a pity not to visit everything! Especially if you have asthma, take your time if you decide to hike Mount Vesuvius! This is the best article I’ve seen for hiking Mt. Vesuvius. 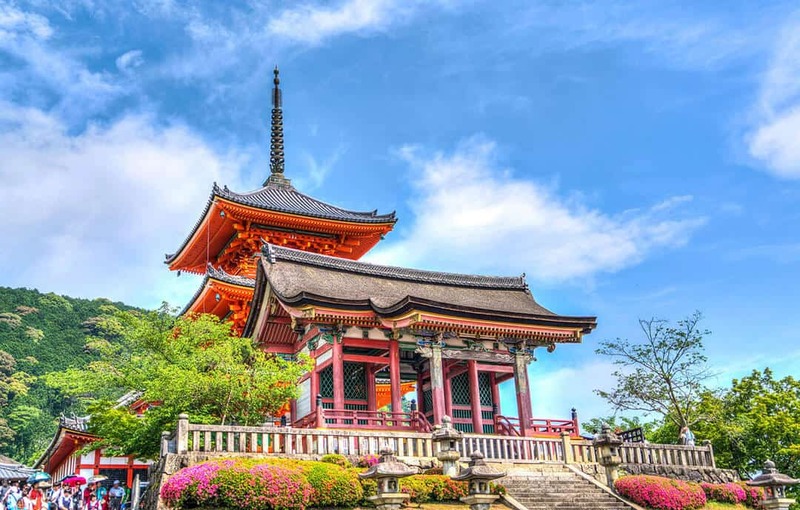 I will definitely bookmark this article and come back to it when I visit this area! Thanks for a good read. Oh thank you very much Lorial! I’ve tried to offer my honest opinion and useful info, I’m glad you like it! Mount Vesuvius seems to be an interesting place for a hiking venture. I love to visit beautiful places around the world and this one seems to offer a lot of picturesque moments to capture. Thanks for the awesome share!